My sweet tooth and I go a long ways back. I also grew up in apple country (Washington) so I love most anything that contains apples. 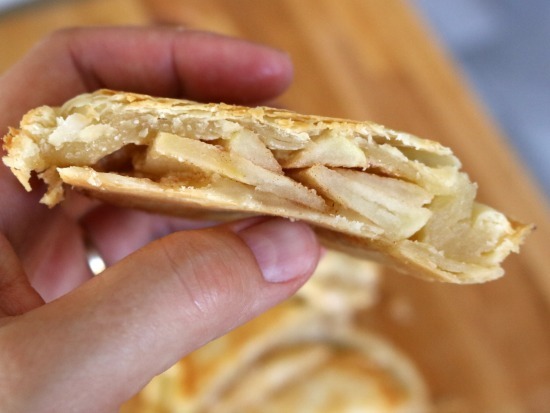 I figured the next logical recipe to make was pie iron apple pies. 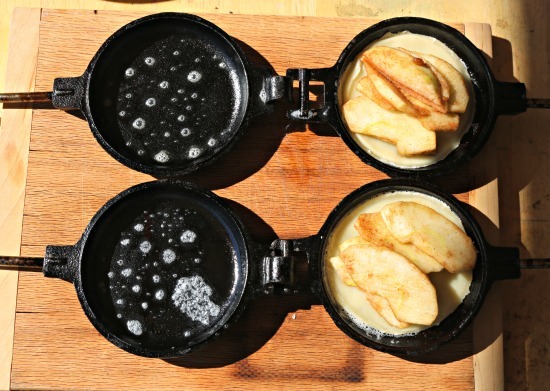 And just like with every single thing you put in them – pie irons make apple pie even better! This recipe is super simple with easy prep you can do at home. And I added a little secret ingredient – mascarpone. For those of you who aren’t familiar – mascarpone is a sweet Italian soft cheese. It’s become so common you can find it at most grocery stores these days. You could definitely replace the mascarpone with a little bit of cream cheese (although that wouldn’t be quite as sweet). Or if you’re not that into cheese – you could leave it out entirely. But I thought it added a really nice bit of creamy sweetness. 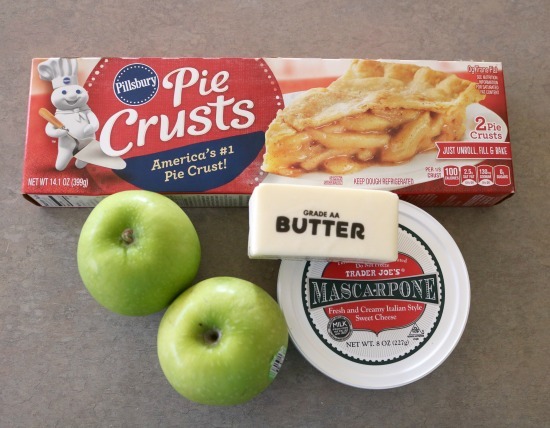 This recipe makes 4 pie iron apple pies. The good news is that if that’s too many for your dessert – simple save them and have them for breakfast the next morning. Having pie for breakfast while camping makes perfect sense right? I’m always all about any prep work you can do at home to minimize your camp site mess. 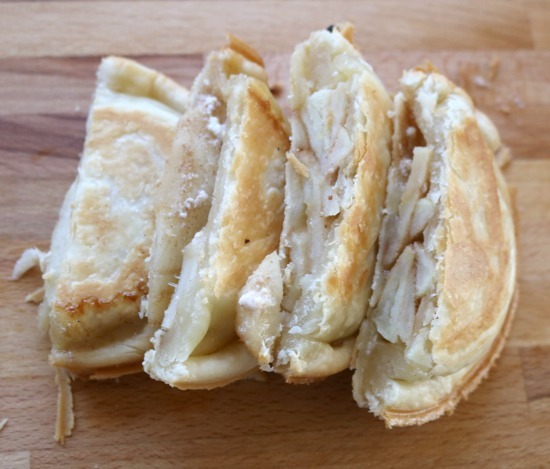 In this recipe – you can prep the apple filling and the pie crusts so all you’re doing at the camp site is assembling them. Peel your apples (although you can definitely leave the peels on if you prefer the taste). Then remove the core and cut into very thin slices. Thinner is better when you’re campfire cooking because it will take less time to cook and your crust is less likely to burn. 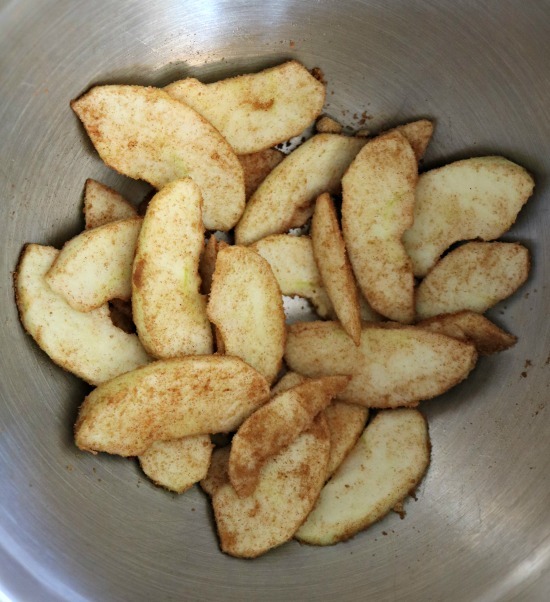 Next, sprinkle apple slices with sugar and cinnamon and stir to coat. Lastly, sprinkle a little lemon juice to minimize the apples browning. This step is more about looks and if you don’t have lemon juice – don’t worry about it. They won’t look as pretty, but they’ll still taste just the same. Place the slices in a zip top plastic bag and refrigerate until you’re ready to use. Remove dough from refrigerator tube and lay flat. 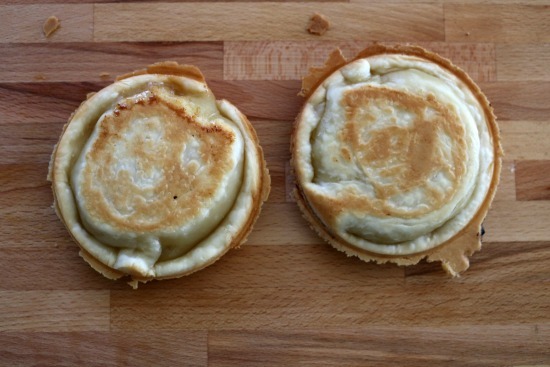 Using a cup that is approximately the same size as the round pie iron cut out one same size circle and one slightly larger circle (using the butter knife with the cup as a guide). 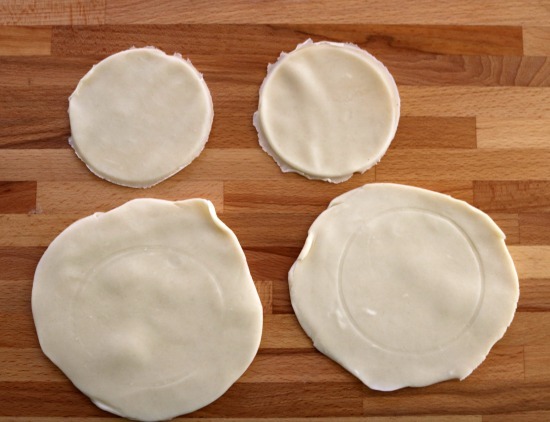 Once you’ve cut as much as you can (usually a few circles) – use the rolling pin to consolidate and re-roll out the remaining dough. Repeat until you have as many small/large circles pairs as you need. If you brought your square pie irons – simple use your butter knife to create one same size square and another slightly larger square for each pie you’re making. In order to take these with to the campsite, you’ll need to stack them with a small piece of wax paper in between each layer (to prevent sticking). Then place them into a zip top plastic bag and refrigerate until you’re ready to throw them into your cooler before you head out on your camping trip. Get that cooking fire going first thing. 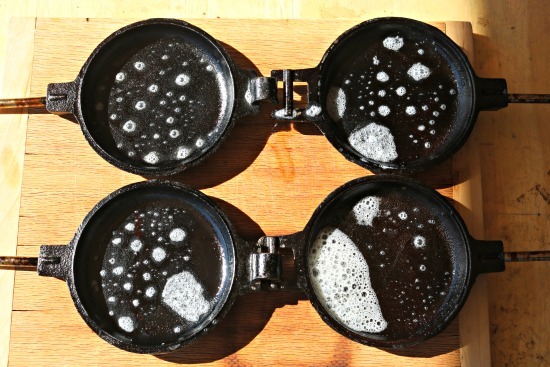 This recipe works well with briquettes, gas, or wood. You’ll want a mature fire before you start cooking (mature means red hot coals, white hot briquettes, or pre-heated gas grill). Once the fire is going – place those pie irons in so they can heat up before you begin cooking. Now we’re ready to assemble the pies! 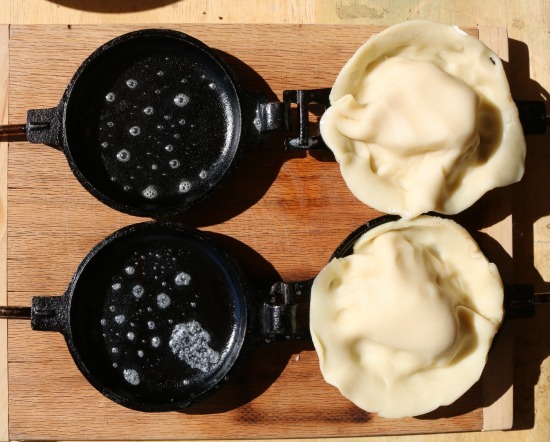 Take your heated pie irons out of the fire and lay them (carefully) open on your wooden cutting board. Lightly grease them with butter (both sides). Next, place the smaller circle of dough on one side of the pie iron. Then, place the apples on the dough. There is no exact science to the quantity – just don’t put so many that you won’t be able to seal the larger upper layer of dough. 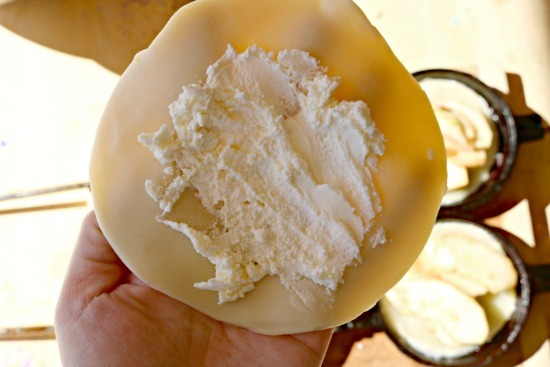 Now the best part – grab that larger crust circle and spread a layer of mascarpone on it. Then, place the mascarpone side down and very carefully (please don’t touch the metal – it’s really hot!) 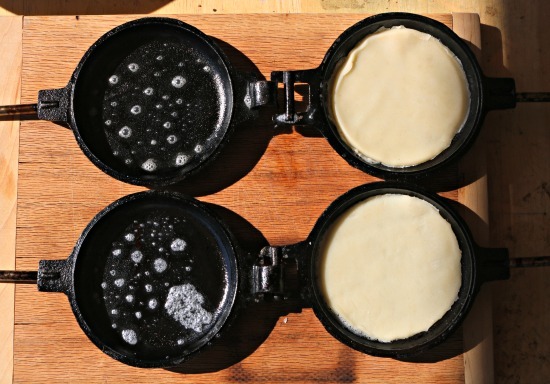 push the entire circle of crust inside the pie iron. It should look like this when you’re done. Close up your pie irons and use the butter knife to cut away any excess crust that squeezed out. Now you’re ready to cook! Place your pie irons in the cooking area for 3-5 minutes on one side. Flip them and cook for another 3-5 minutes. 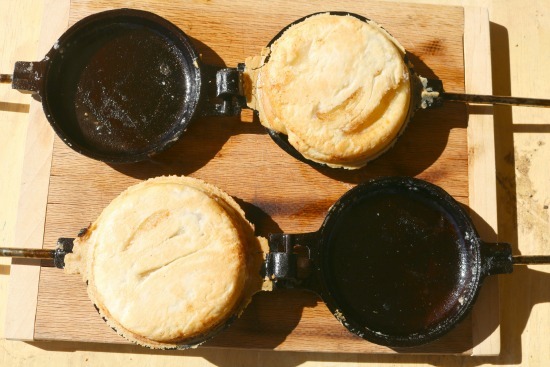 Check for doneness at the midway point by carefully opening up the pie iron and peeking at the crust. 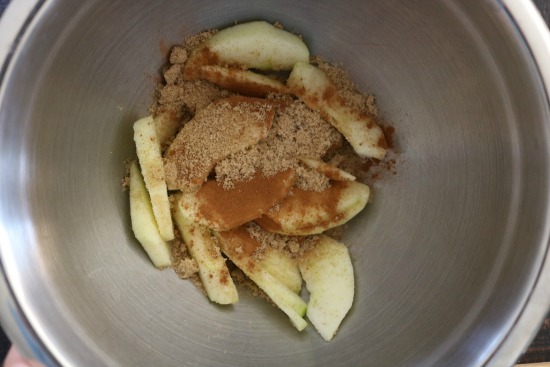 When done – the pies will have a lightly browned crust and you’ll smell the apples cooking. And then you get to eat!! The mascarpone literally melts into the crust creating this wonderful sweet flavor, but feel free to spread a layer on top of the pie to create an even cheesier pie!